The software industry in Nepal along with the overall IT scenario in Nepal is on the verge of a boom like never before. The reach of this industry is spreading its roots almost everywhere and we cannot choose to ignore this context in Nepal’s current market. While a lot of IT graduates are produced every year, there is still a gap between the market and the graduates. The Nepali IT students seem to be a bit lost even though there is a lot of possibilities to grow and prosper. Not only the students, but the companies getting born every now and then and the investors looking for newer investment opportunities are often found just lost in thoughts with this significant gap in between. In such a scenario, we have come up with an event called Nepal software Meetup ‘#1’ that will help to bridge this gap creating better opportunities for everyone involved in the IT industry of Nepal. Nepal software meetup #1 is the first software meetup happening in Nepal. 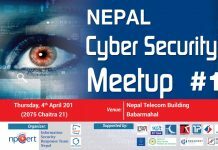 This event will be focused on the challenges and opportunities prevalent in the software industries in Nepal. The event will be inclusive of all sorts of professionals in Nepal’s software industry. We will be including the large scale industry leaders, medium level professionals, and startups as well. What to plan to achieve is the sharing of experiences, opportunities, expertise, and skills on the various aspects regarding their own working boundaries. This will help to expand the boundaries of the market scenario and also the networking among the professionals will be the help to each one of the participants. Also, the students and the newcomers of the industry can learn from the experienced ones about the challenges and opportunities so that they can prepare themselves for the work they are heading for. We have planned to organize this event every month and the report shall be submitted to the Nepal government body. 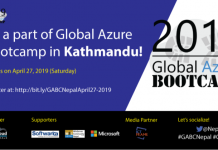 The only motive behind this event is to see the Nepalese economy and market status boom with the rightful share of the software industry as it is happening worldwide. Not far, our own neighbor India has been reaching several milestones with the proper handling of the software industry. So we want this event to identify the issues in the software industry scenario of Nepal and find the solutions for them so that we march on the new era of the software industry in Nepal. This event has been organized by ICT frame online magazine and will be launched on the national ICT day being celebrated on May 2nd. The magazine has been focusing on information and communication technology and is available in two versions since 2014 A.D, i.e, native Nepali and English language. This is the first tech portal led by a woman as a Chief editor, Mrs. Mina Aryal. The magazine has been working to uplift the tech environment in Nepal by empowering every possible aspect of our society and this has gained popularity as an example of women in technology. We will be supported by npCert, National ICT Council, Centre For Cyber Security Research and Innovation, One Cover Pvt. Ltd., techsathi tech portal and techpatro tech portal for this event. 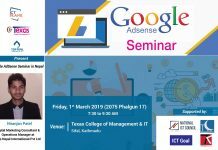 We hope the active participation from all of the concerned professionals, students and the well-wishers of IT communities in Nepal in this common platform. Let’s get together and work to build ourselves up.